Sport climbing wasn’t seen as popular in Japan. So AquaRing set out to change that—by turning the sport into a digital, data-driven experience. Sport climbing is already fun, but the team at Japanese web production company AquaRing wondered if they could make the experience even better through data visualization. They did just that with Wonderwall, a climbing experience that allows participants to climb a wall freely (in any direction), while having their path visualized with digitization. Think of it as a real-time mosaic that’s driven by data. The feature created a cool user experience for spectators—landing it a 2018 Webby Award in Mobile. We spoke with the AquaRing inc. team on what they learned creating Wonderwall, and more. What is the coolest technological breakthrough you’ve had with WONDERWALL? If I had to pick one thing, I’d say, we created a new form of communication (user experience) for spectators and the audience. For competitors to finish, they need to rely on the audience’s help. What do you think makes this project so appealing to those to play it? After launching WONDERWALL, we realized that people have an innate desire to climb. The project mapping portion of the experience was also something that people involved wanted to share on social media. The shared experience (by those competing and those watching) is really something special. Where do you hope to see WONDERWALL expand in the next few years? Both as far as features go and outwardly in the world? Sport climbing is not popular in Asia. Through WONDERWALL, however, we hope people all over the world can find enjoyment through the climbing experience and eventually increase the number of people who participate in this sport. After launching WONDERWALL, we realized that people have an innate desire to climb. Accepting a Webby for WONDERWALL. 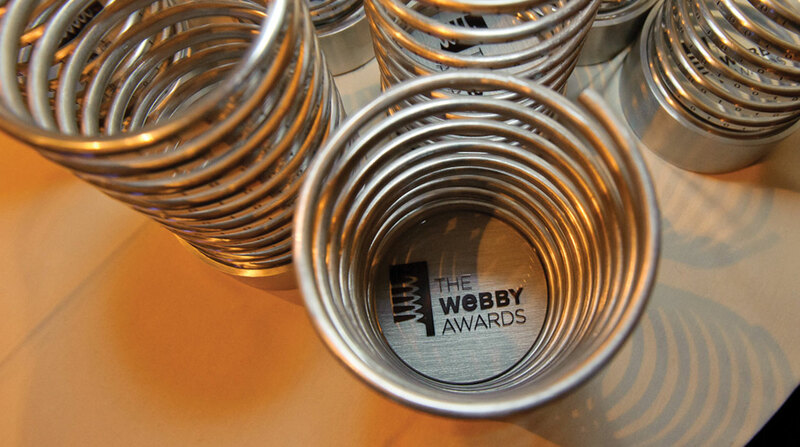 What does your Webby win mean to you? The Webby Awards certainly gave people all around the world a chance to learn about WONDERWALL. As for the developers, this award gave us the motivation to keep pushing forward and enhance the WONDERWALL experience even more.